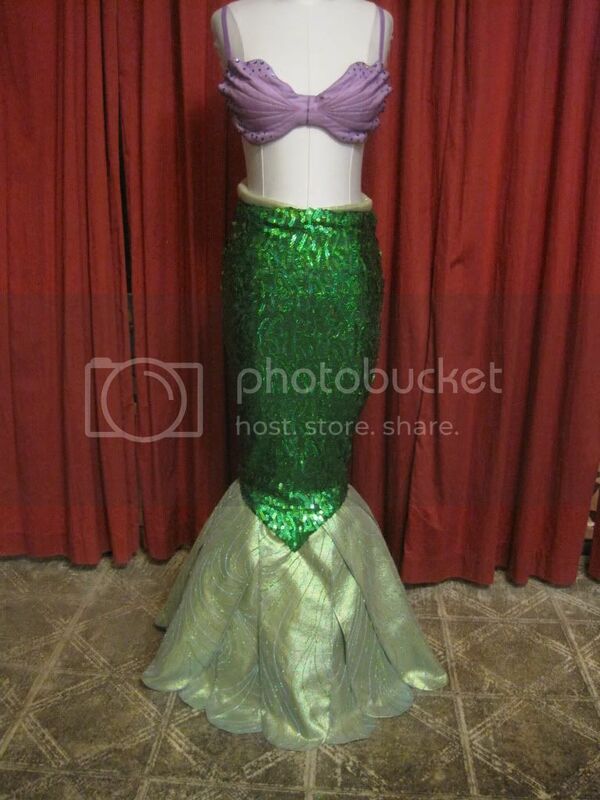 Here is the latest mermaid in my collection. 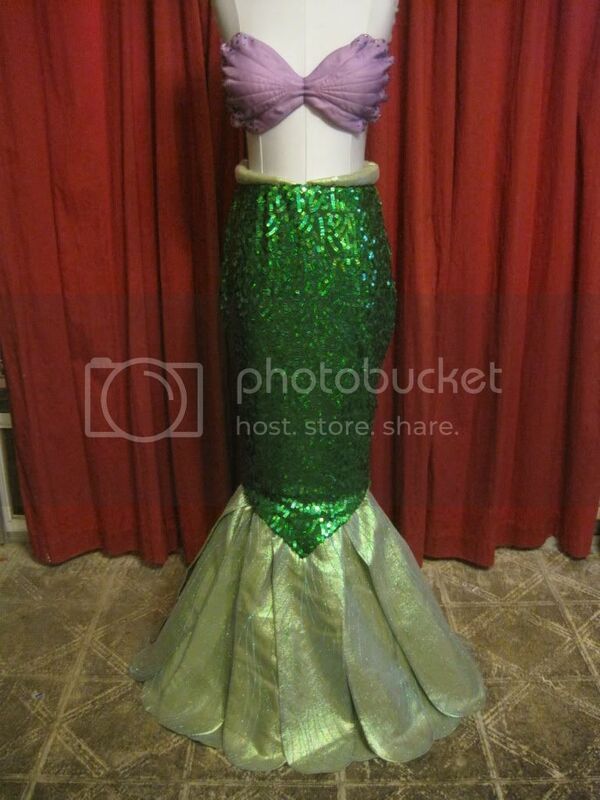 It is headed to the same place as last weeks mermaid. It is one of the few outfits that really isn't very size adjustable, so she ordered 2. This one is smaller and shorter and I wasn't able to find the exact same bra, I looked at 3 different Targets and none of them had it. 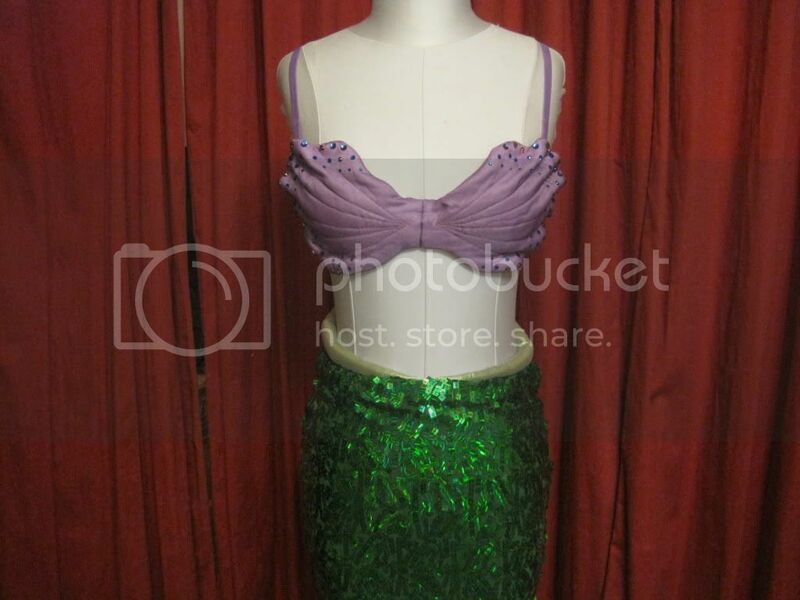 I did find another one with removable straps but it was so well padded I was afraid the girls would be fighting wardrobe malfunctions left and right so I chose a bra that has permanent straps. I went ahead with the project but didn't check with the customer because she had said in an email she wanted the top to be worn with straps. So I figured, no big deal. I sent the email with the pictures to her and when I hadn't heard from her by the next morning I went ahead and sent the dress figuring it was the same as last time, no big deal. Yesterday afternoon I heard from the client and I found out it was a big deal. I really do try my best to make things uniform but sometimes I can't get the same items. I'm just not a big enough company to order in high volume. I apologized to the customer and agreed that she was right, I should have told her the bra would be different, I just didn't realize it would make such a difference. 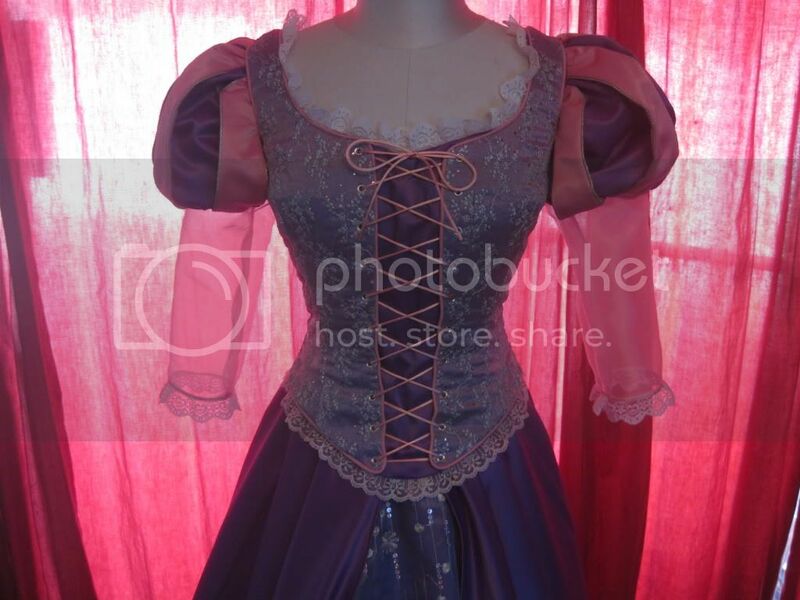 I also let her know that when it arrives if she totally hates it I will pay for it to be sent back and I will remake the top. This seems to be an okay solution for now, we'll see what happens once it gets to it's destination. I am just one person and I do make mistakes. I try to fix them as fast as I can and to the best of my ability. I really appreciate the patience and understanding of clients when a problem arises. 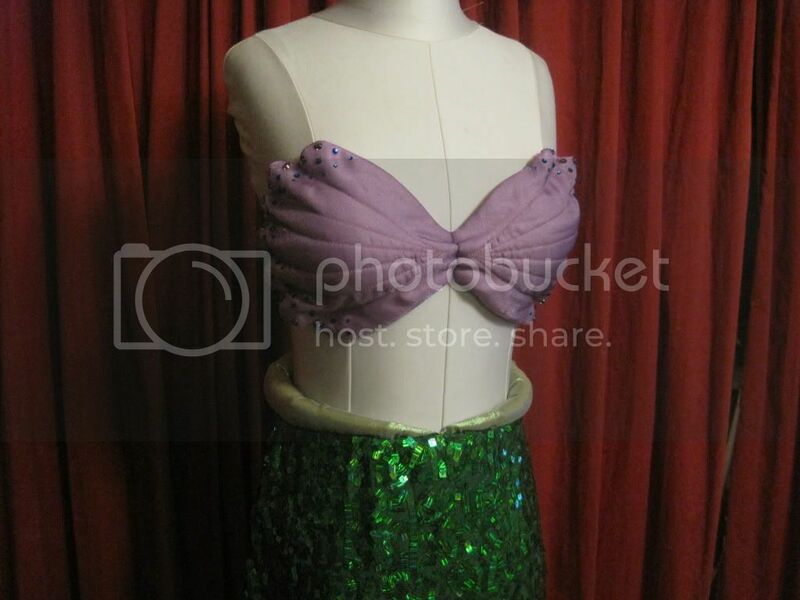 A while back I revamped my Mermaid skirt design, at the request of a client, and it is looks really great. 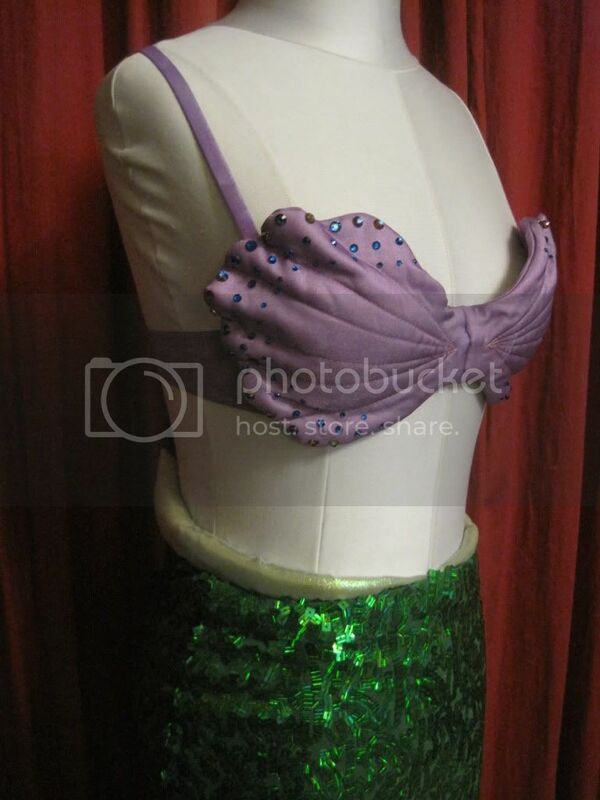 For this project I decided to tackle the shell bra. 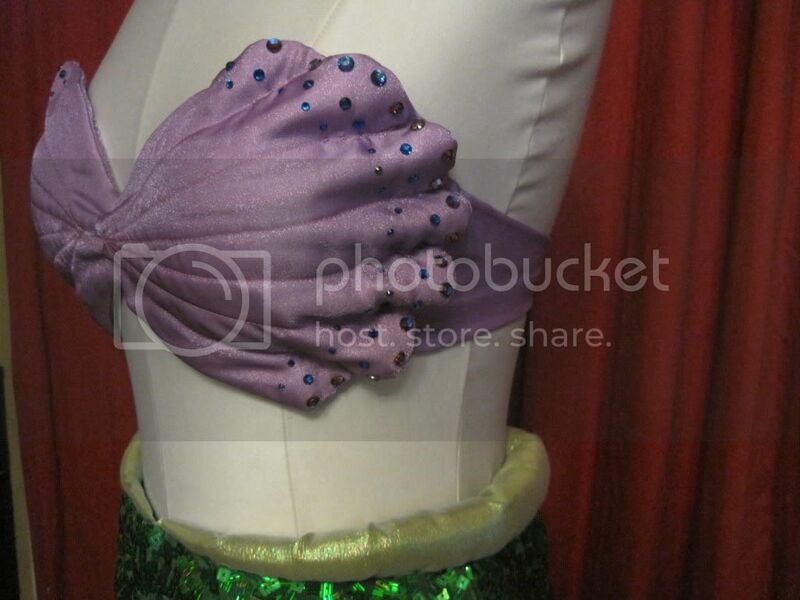 It has been said in the past that the top looked like a sparkly tube top, and it really kind of did. I did some trial and error and I like how it turned out. It has some dimension to it and that is way better than before! This is another outfit where the client supplied the fabric, this time just for the tail portion. I used to be able to get sequined stretch from my favorite independent fabric store but she can't get the right color anymore. 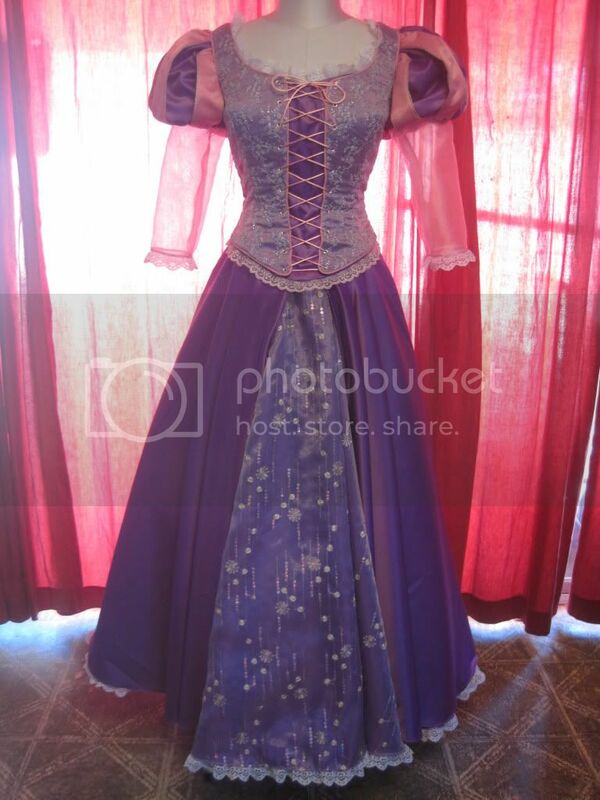 For this project the client sent the fabric, I love making the vision of my Princesses come to life! In addition to providing her own fabric she asked for different sleeves and metal eyelets down the front. This princess is off on an adventure this Saturday, so she was shipped Express to New Jersey. Do you know how much express shipping is? I didn't either, but I do now! Yikes! !